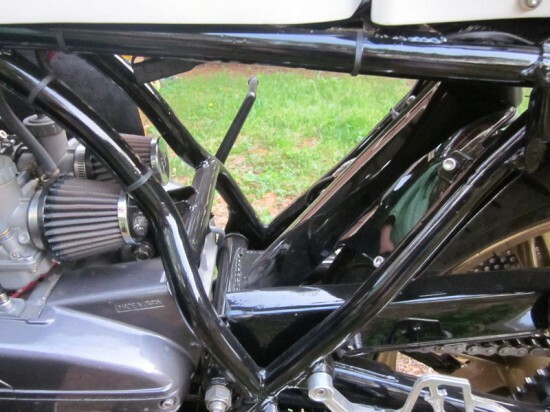 The thing that catches my eye when looking at Classic motorcycles is a full fairing. 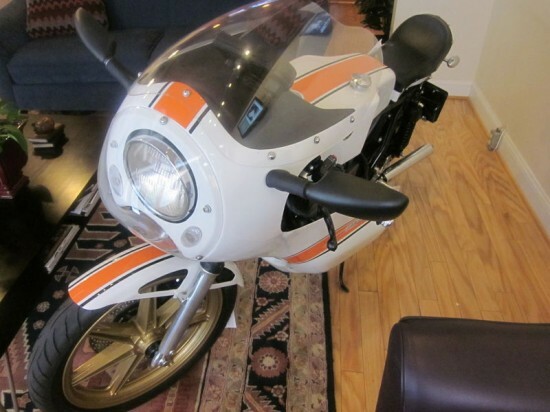 There is something that screams at me when I see a classic or vintage motorcycle with a full fairing. I think that it tells me that this bike is fast, and a fast classic is the best classic. 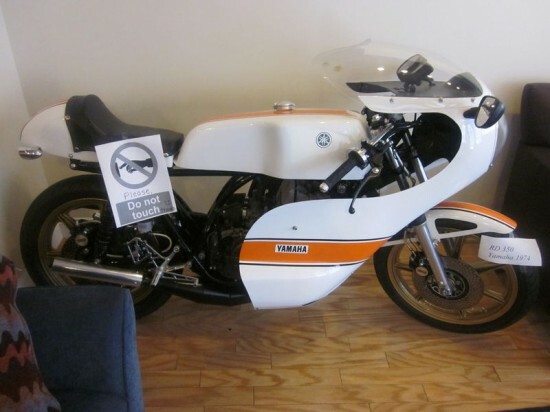 This Yamaha RD250 offered on eBay now has that, and more so because of the big orange stripe. DON’T BE INTIMIDATED BY THE BUY-IT-NOW PRICE!!!!!! This appears to be a theme with classic bikes these days. Someone had a dream, spent the time and money to fulfill that dream, and they are now trying to get some of that money back. The seller is not shy about the position they are in, but at least the seller understand that position. I have no economics background but I can imagine that this may be a reflection of the world economics as a whole over the last 10 years. The Bike: 1974 RD 250 with 350 bore and mods by Spec II. Full Airtech Read Titan fairing and glass, Gustaffsson Screen, TZ style solo seat, powder coated everything, Spec II chambers, neutronics ignition, digital guages with cyl and exh temp. RD400 wheels, braced swing, GSXR rearsets, clip ons, remote res frnt brake. A beauty for sure. 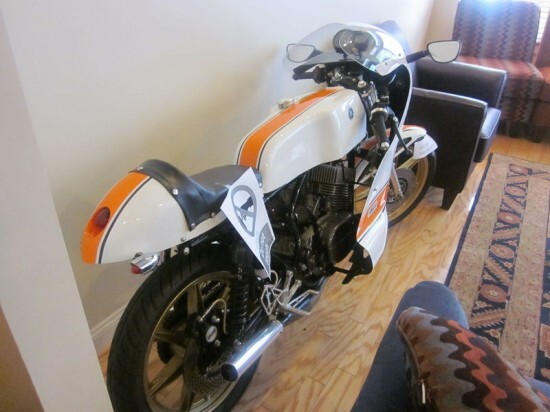 I have about $12,000 or more in receipts and a DVD of the resto process by Randy’s Cycle in Rhoadesville,VA. Also have original receipts and invoices from Spec II (who did the work back in 1999). 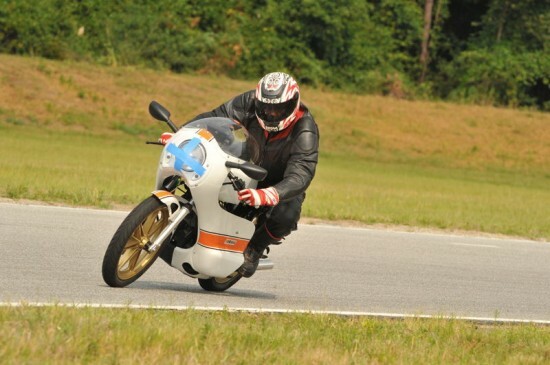 I have been to one track day at Jennings GP inFlorida and this thing handles very very well. The bike was “sold” once before but the buyer backed out. Please be committed! I don’t like to have to give bad reports to EBay. I am taking a total bath on this, believe me. At the buy it now price the buyer is getting a hell of a deal. 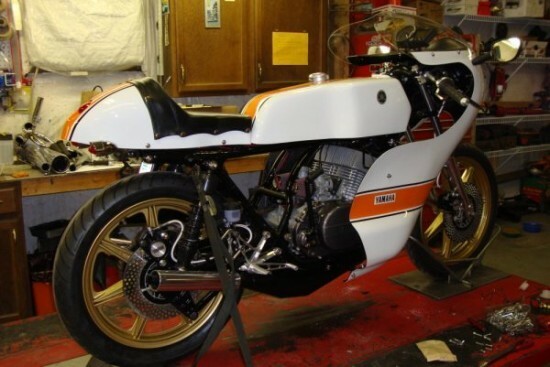 To get an idea of what you might be getting with this bike I found number for an original RD250 and RD350. Your Plain Jane RD250 would offer 30hp at 7500rpm, and the RD350 improves those numbers to 39hp for the same revolutions. I would imagine that the work done creating a 350cc out of a 250 included an improvement on these numbers. 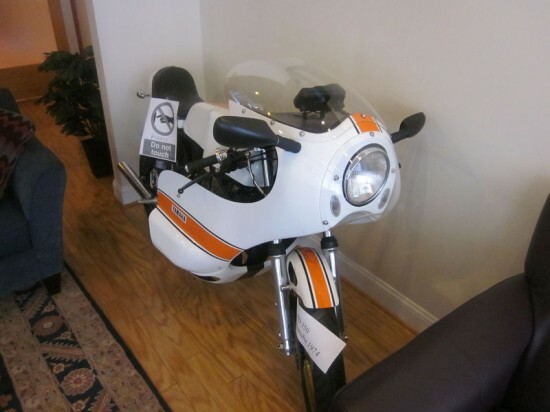 I looked up Spec II to see what they are and what they offer, and it looks like they offer everything for this vintage Yamaha. They have body parts, mechanical parts, and electrical parts. They appear to offer the full meal deal why it comes to RD’s and RZ’s. Not a bad company to know if you are looking for or currently own one of these Smokin 2-strokes.